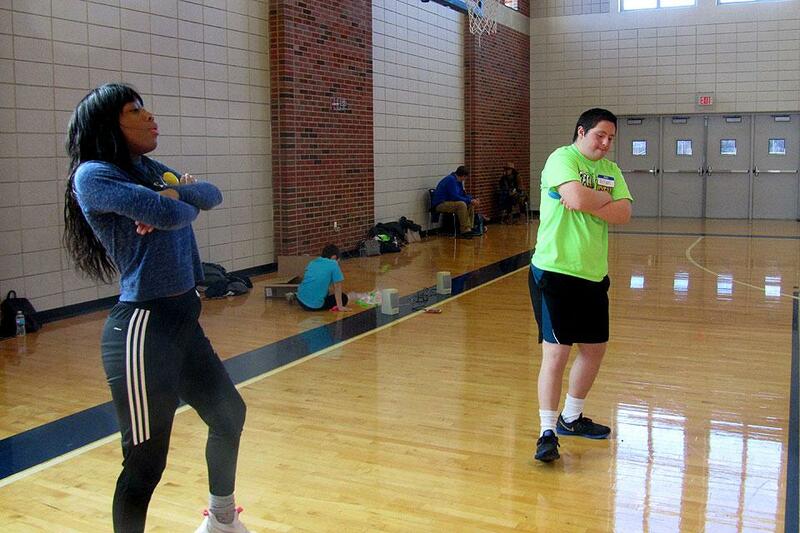 Sophomore Latreecia Evans (right) leads KEEN athletes in grooving to the music. 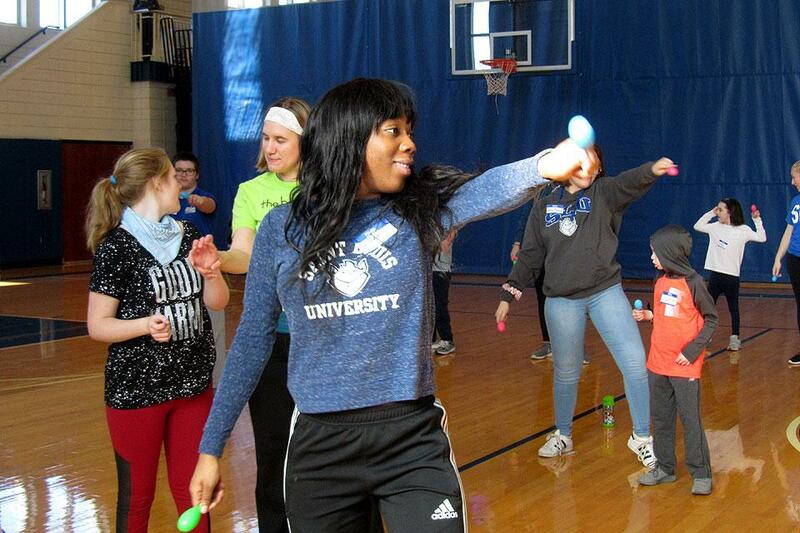 Guided by members of Saint Louis University’s chapter of Movement Exchange, kids waved maracas and imitated John Travolta’s famous Saturday Night Fever disco moves as part of the chapter’s dance and wellness partnership with KEEN St. Louis, an organization dedicated to providing equal opportunities for recreation, fitness and friendship for children and young adults with disabilities. 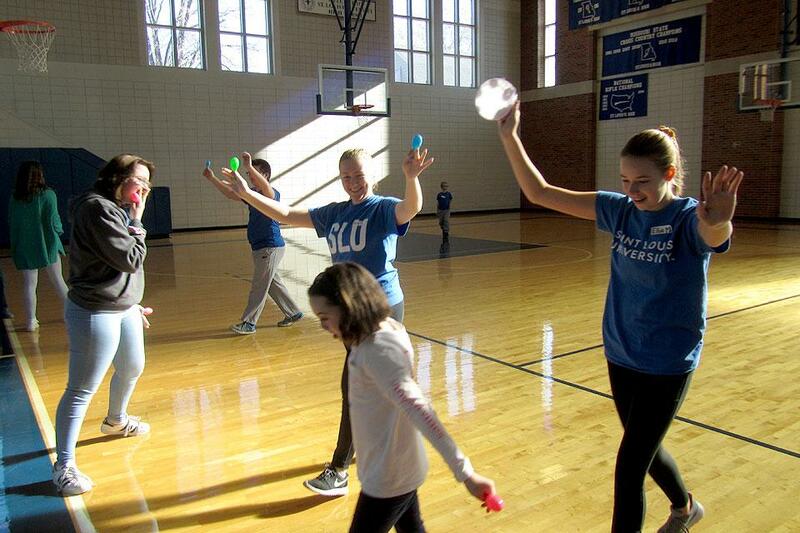 The partnership with SLU’s Movement Exchange members includes workshops twice a month at Saint Louis University High School’s Danis Fieldhouse. 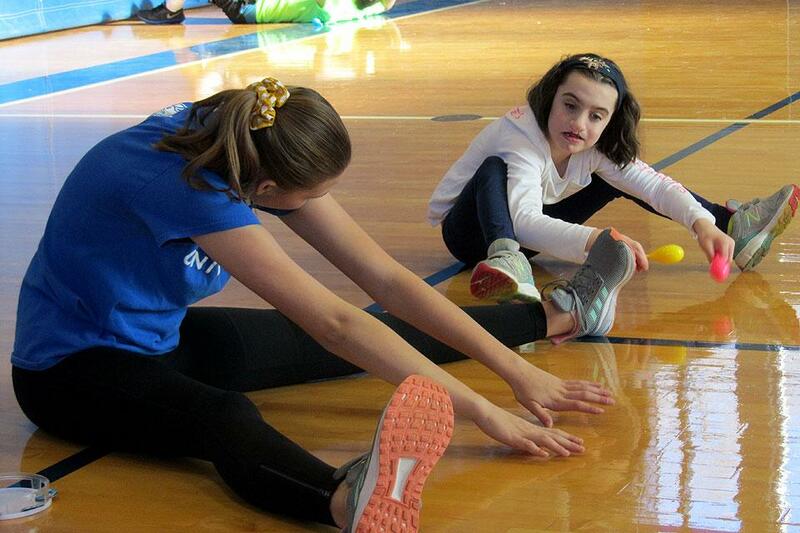 KEEN stands for “Kids Enjoy Exercise Now!” and the classes combine Zumba steps, yoga stretches and old dance favorites like jazz hands into routines to get kids moving and engaged with their SLU buddies and each other. “We want to provide kids with a creative outlet,” Victoria Birchem, a sophomore accounting major and Movement Exchange’s president, said. “We’ll be teaching them culture through dance,” Emily Fleckenstein, a sophomore in the investigative and medical sciences program, explained. 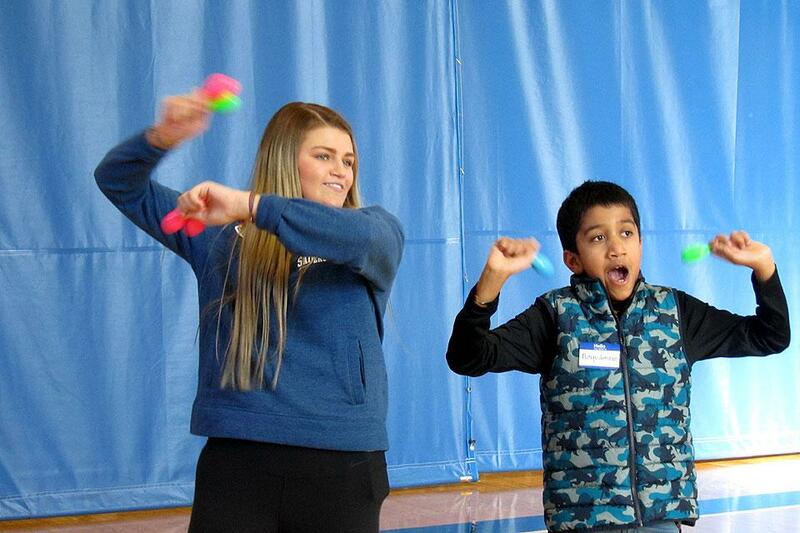 “We want to activate their minds and to develop their fine motor skills. There is a Jesuit value – Cura Personalis­ – care of the whole person. With dance, you’re able to take care of the mind, the body and the spirit. You’re able to take care of the whole person. SLU’s chapter is part of the international Movement Exchange organization and is on its way to becoming a chartered University student group. 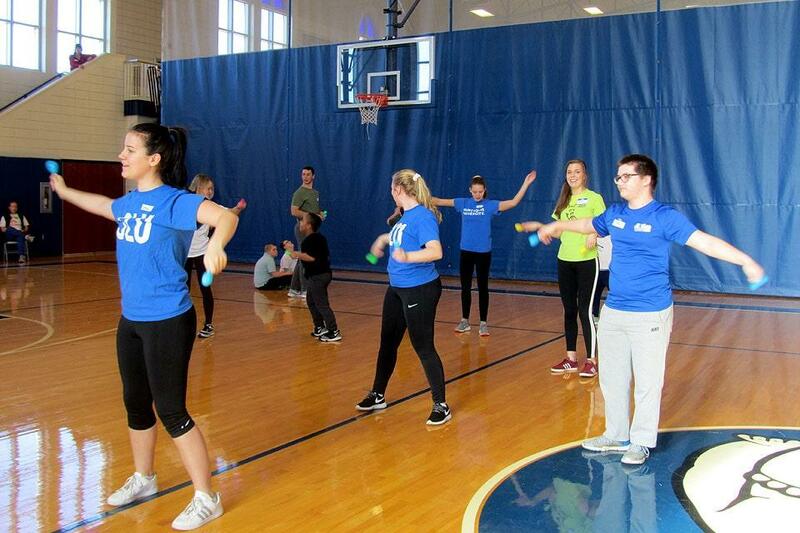 The international organization’s mission is creating unity through dance and service, with members acting as ‘dance diplomats.” The organization’s motto is “We believe that when we move the world, we move change.” SLU’s group is part of a network of college chapters that participate in international dance exchanges and partnerships with community organizations like KEEN. 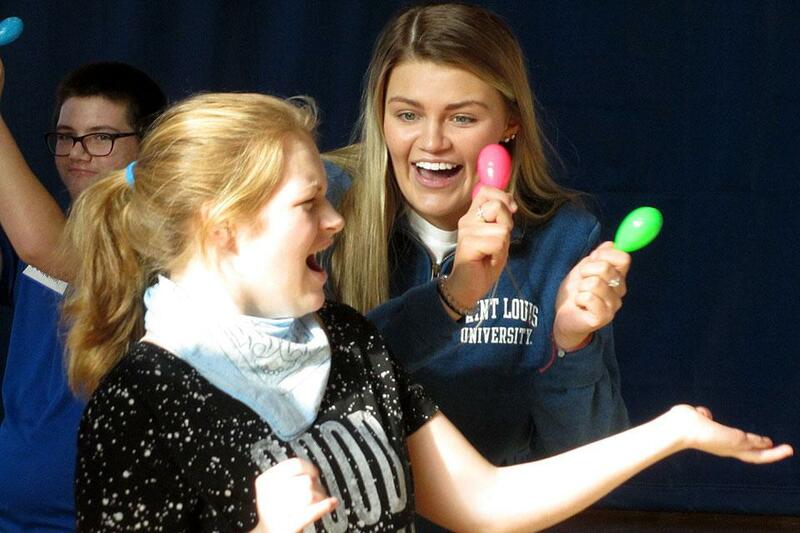 Birchem and Fleckenstein started SLU’s chapter in the fall of 2018, after Birchem took part in a Movement Exchange international dance experience in Panama during spring break earlier that year. Birchem had danced in high school and was on her school’s dance team before coming to SLU. Fleckenstein had been training a variety of dance styles including ballet and tap since age 3. 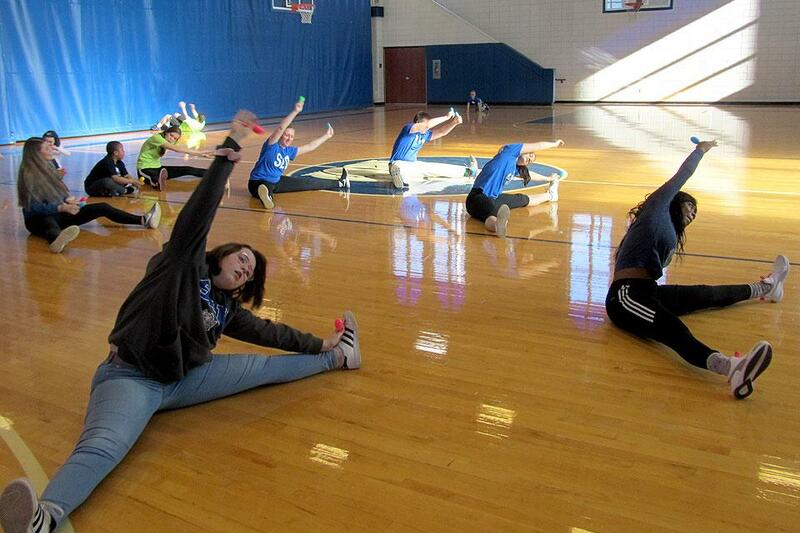 Both Fleckenstein and Birchem have continued dancing while at SLU as members of the urban dance crew, XQuizit. With dance, you’re able to take care of the mind, the body and the spirit. You’re able to take care of the whole person." Starting SLU’s chapter, Birchem said, was a way of carrying her love of dance through college in a relaxed, but meaningful way. 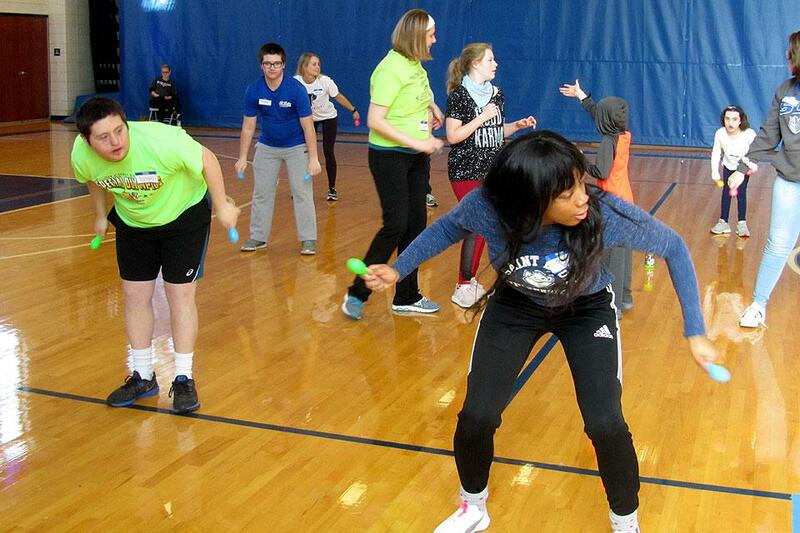 Partnering with KEEN, along with workshops SLU Movement Exchange members lead for teens at another St. Louis nonprofit, Great Circle, allows the group’s members to share their passions for movement intimately and creatively. 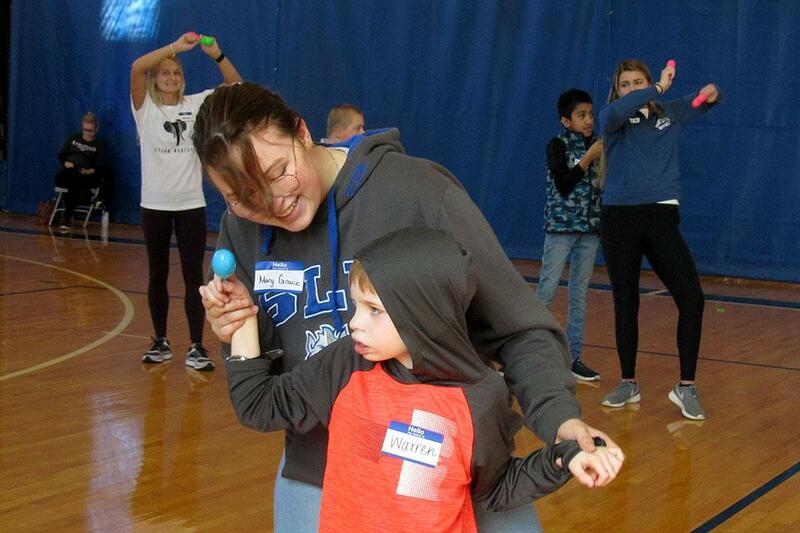 Working one-on-one with the KEEN students in particular, creates lasting “buddy” bonds as the kids stretch it out and cut a rug with their college-age partners. “I think it’s nice to come to our class as a space to create through movement and through exchanging movement,” Birchem said. 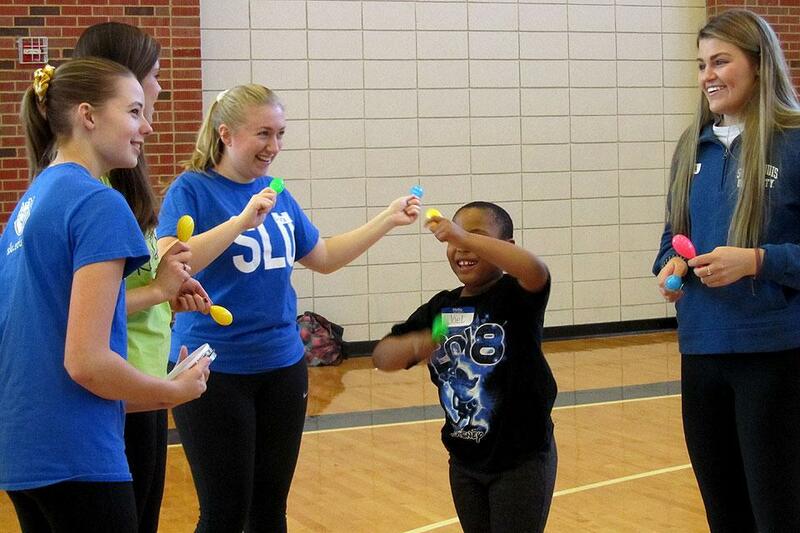 To learn more about SLU’s Movement Exchange chapter, visit the group or contact its members. No dance experience is necessary to join.